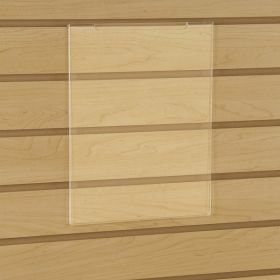 8.5" x 11" Slatwall Acrylic Sign Holder | Retail Display Fixture Components | Clip Strip Corp.
Slatwall style Walls and Displays at retail stores are one of the most widely used ways to merchandise products. 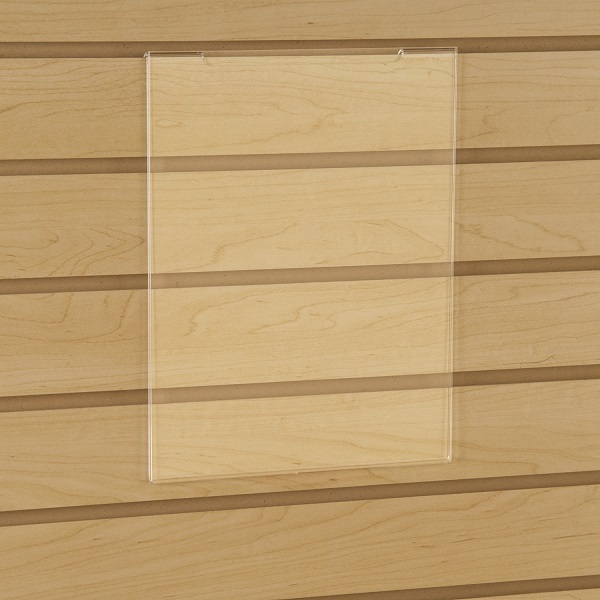 In addition, there are many slatwall products to help you communicate to your customers with signage of all types. 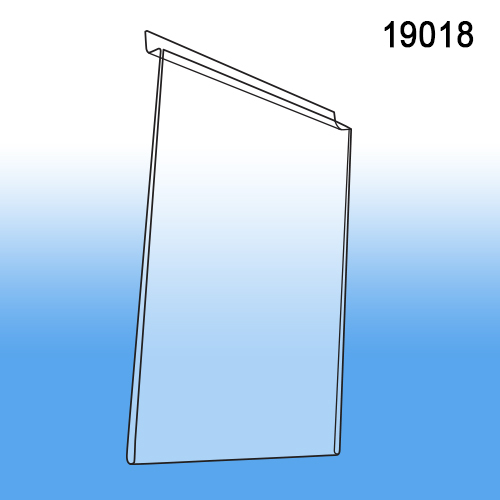 This product fits directly into the wall without adapters and is front loaded with the signage of your choice. 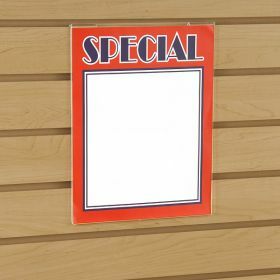 Your printed sign is easily replaced as needed. 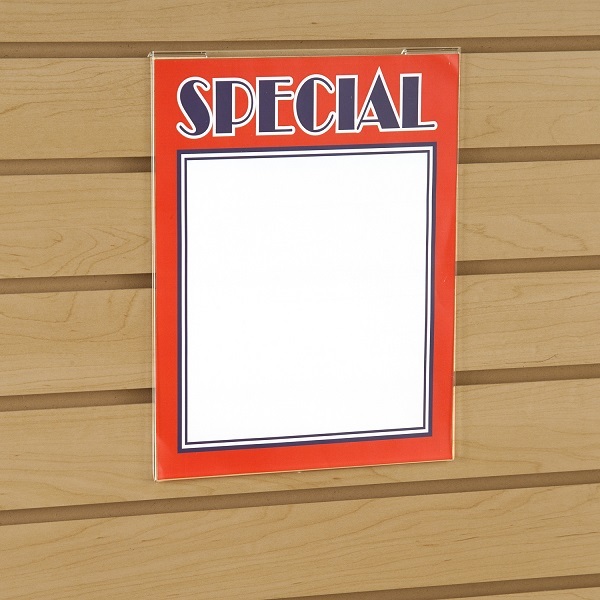 Count on Clip Strip Corp. for all your point of purchase merchandiser and store communication sign holder needs.